Having a vizsla is great fun. That’s why we love to include Oto in our daily activities, we all benefit from it. I could easily write a post about hiking together as that’s probably our favorite hobby – I’ve also already touched upon topics like camping or city strolling with your dog. 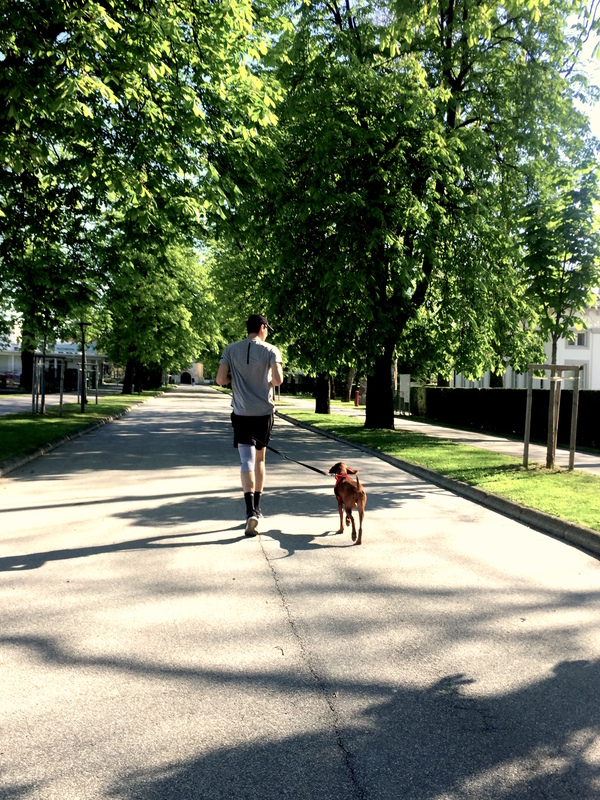 However today, I’m sharing a few tips about running with your furry friend. After another successful run this morning I feel like we’ve learned a thing or two about how to make a jog enjoyable for both running feet and paws. Just like humans, dogs need daily exercise for their health and happiness. So running together seems like a great option on a sunny day, right? But before you hit the road, consider your dog’s health, build and breed. 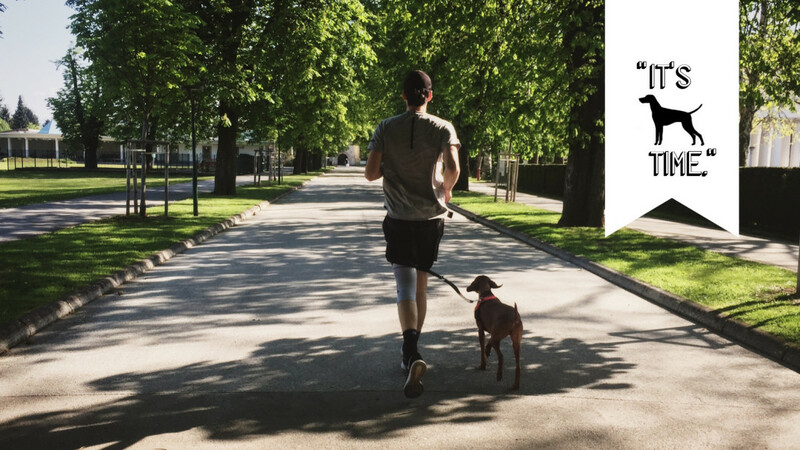 Not all of our furry friends are built for running, consider also their age and bone growth – but most dogs in good health enjoy it, even if it’s only for a couple of kilometers. A couple of kilometers is actually a very good starting point. You should get your dog in shape by taking it slowly and building the length and duration of your runs. With a hyper vizsla one would think that he can simply go and run for an hour, but he will slow down faster than you think. At the moment we are going for around 5 km jogs and that include a few minutes of free running. On this note – if you can, I would definitely recommend having a leash-free section on your running route. In the middle of our regular jogging trail, we get to open fields where we let him sprint off, sniff and do his thing. He needs a pause from the rhythm. Meanwhile, we continue the run and clip him back onto the leash as we get back to the path. Not the most important thing, but if you want to keep your dog safe and secure while you’re out and about, having a good leash and a comfortable harness is also something to think about. The most comfortable harnesses usually have padding in high-friction areas, like the belly and chest. Ours is by Hunter and so far Oto seems to love it. We also use a hands-free elastic leash, attached to the belt around our waist. We like it, but I’m planning to shorten it so I’ll have him closer by my side. Overall, I feel like running together is a learning experience and often brings up challenges. But it’s honestly way too much fun to miss out on it!